Is joining a bandwagon the best way to solve a problem? Anna Hazare’s Jan Lokpal movement, Terrorism, News coverage on any issue by our TRP loving news channels etc. etc. – Wondering what am I talking about? How can all these things have any relation at all, right? WRONG! There is a small but very important thread which connects these things which are generally as diverse as chalk and cheese. Joining the bandwagon is often referred to as ‘copycat’ behaviour in blunt terms. But is copycat behaviour really bad? Obviously for something like the Anna Hazare movement or cricket fanaticism it shouldn’t be bad, right? A lot of people in this world are normally jobless. Obviously jobless really doesn’t mean the people who are actually ‘Below the Poverty Line’ and don’t really have any work at all. I am referring to people who have jobs but just love to fight for a cause however good or bad it may be. And they may fight for a cause despite the fact that they may not know much about it. Facebook gains deeper access into our inner desires with its Timeline! 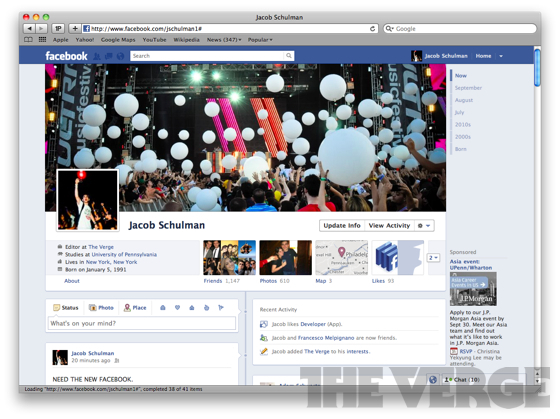 So Facebook has introduced its new newsfeed and various other features in the f8 conference. All the Facebook lovers, techies, developers, everyone’s greatly excited, isn’t it? Obviously many of these moves were influenced or sped up because of the entry of Google Plus into the market. But whatever it is, its being regarded as a unique change. But then my post deals with two particular changes which form the core of its new strategy. They include the Facebook Timeline and the tracker. So they have blurted out the usual things like “It makes you more social”, “You can connect to your friends much easier”, “The features are for the benefit of the users” blah blah blah! 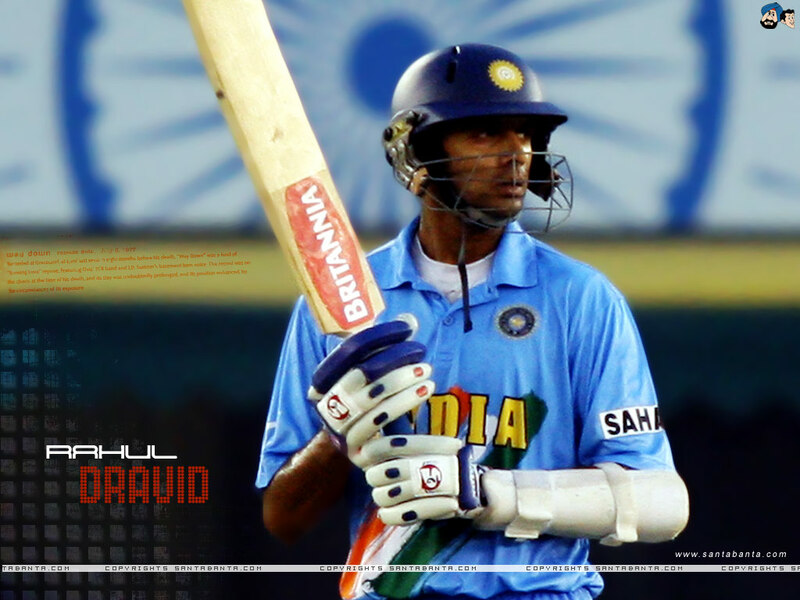 There were many who said he can’t play One Day International (ODI) cricket. There were many who said he can’t play the shots expected of a batsman in the 50 over game. There were also others who said that playing in the 50 over game may bring some needless shots to his repertoire which may spoil his class for Test cricket. But 344 matches, 196 catches, 10889 runs @ an average of 39, 12 centuries and 83 half centuries later as Rahul Sharad Dravid retires, you wonder if this was the man who had struggled in his initial days in ODI cricket. Between 1996-99 he had become used to sitting in and out of the team. Those were the years when all his doubters had their tails up constantly asking questions about his strike rate, ability to rotate the strike and what not. Can Twitter cultivate real friendships? 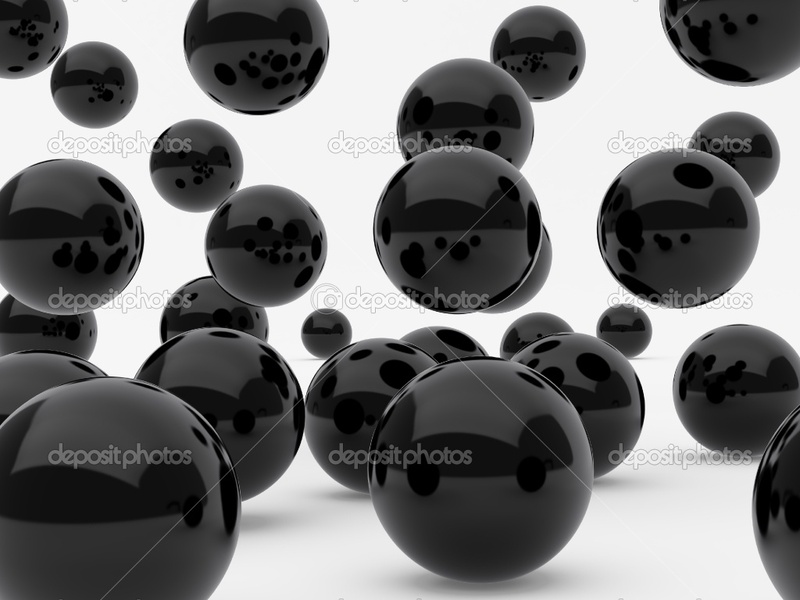 Twitter has gripped the attention of millions around the planet with its 140 character SMS style microblogging service. It reached 100 million active users recently and has also crossed 5bn tweets. A large number of heads of state and celebrities use Twitter daily to talk to their fans and followers. Ok so that’s enough of facts, isn’t it? But then can Twitter cultivate real friendships? Do people search for real friendships here? What would define a real friendship? Can real friendships exist on social networks where people may actually fake their identities? I am sure many of these questions would be swirling in the readers mind. Let’s take it one by one. Bodyguard starring Salman and Kareena in lead roles was one of the most awaited movies of recent times. Awaited not because of its content. But more because of the fact that it stars the “Rajnikanth of Bollywood” Salman Khan who had 3 back to back hits in Wanted, Dabangg and Ready. Interestingly all have been South remakes and this one is no different. It seems the director Siddique has built his career on remakes having made this first in Malayalam and then in Tamil. And now he has come up with the Hindi version. Another director is in the process of launching the Telugu version. I am sure all of you must be wondering if a movie is made in 4 languages, it would be a sure shot hit, ain’t it? Anna invited for other causes – Will the masses be interested? Team Anna as the group including Arvind Kejriwal, Manish Sisodia, Kiran Bedi, Prashant and Shanti Bhushan, Santosh Hegde along with Anna Hazare among others is called achieved the unachievable or so we have been asked to believe. 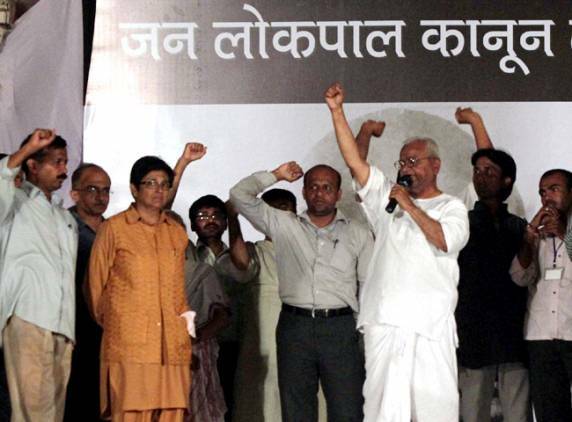 They were able to mobilize support for the Lokpal Bill riding high on Anna Hazare’s non violent methods. Support which was unseen and unheard of throughout the country. An educated middle class which doesn’t vote but criticizes, doesn’t stand up and be counted by joining politics themselves but criticizes, doesn’t want to be the change it wants to see but criticizes joined this movement like never before. They were out on the streets, on Twitter, on Facebook, in company chat rooms everywhere rooting for the man himself as well as the cause he was fighting for.